It was early afternoon, around 2 pm, as I was heading west on Ortega Highway. This was before rush hour, and even when rush our starts most of the traffic is heading east in the afternoon. As I was entering the most entertaining section of the road I came up on a high-performance motorcycle stuck behind 3 slow-moving cars. Within a few seconds the cars pulled over, allowing the superbike and me in the Ford GT to go around them. Over the next 20 miles or so the bike and I only encountered a couple cars, and each time the slower traffic pulled over within seconds to let us pass. 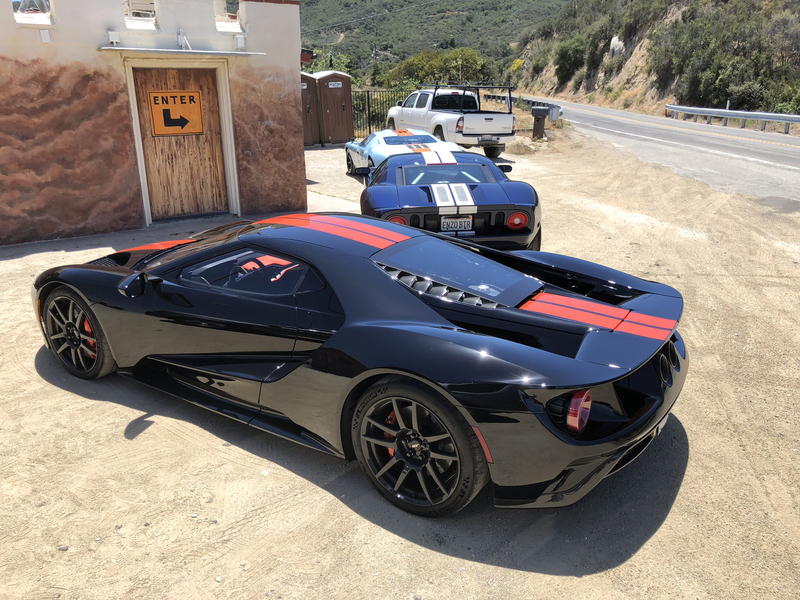 Maybe the site of both a superbike and a black-and-orange Ford GT in your rearview mirror is enough to inspire yielding, which is amazing because California drivers typically are clueless when it comes to being in the way. The result was an interesting drive between two high-performance machines. Initially the superbike led and I followed. But after a few minutes he pulled over and I led while he followed. 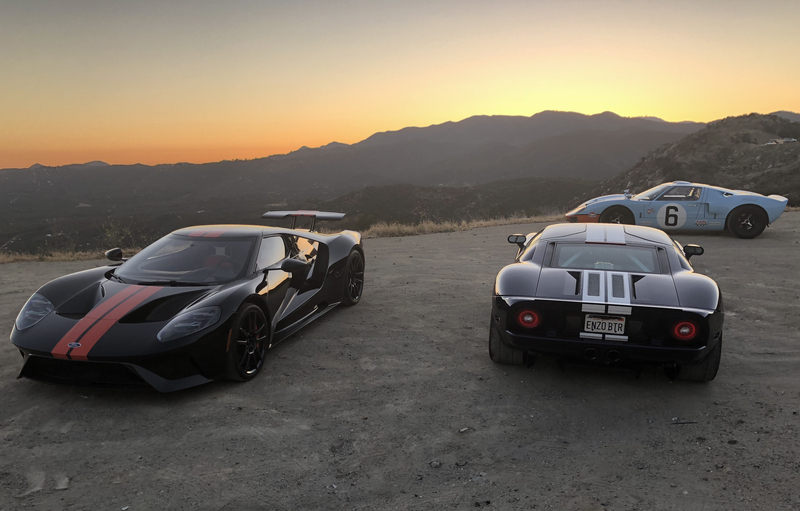 The combination of that road, my familiarity with that road (compared to, say, Utah Motorsports Campus during the GT’s press intro) and the Ford GT’s engineering made it a drive I’ll never forget. 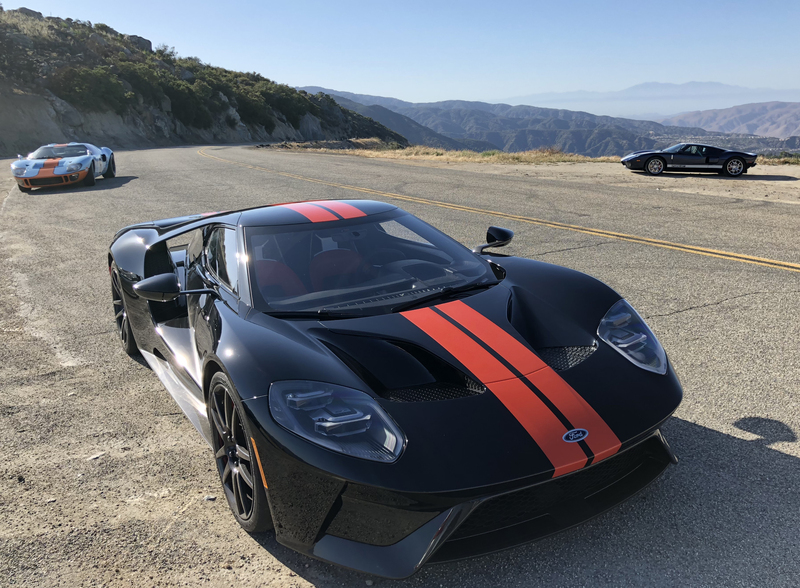 The experience illustrated how capable this new GT is, and how you have to drive it at a certain level before you’ll fully understand and appreciate those capabilities. 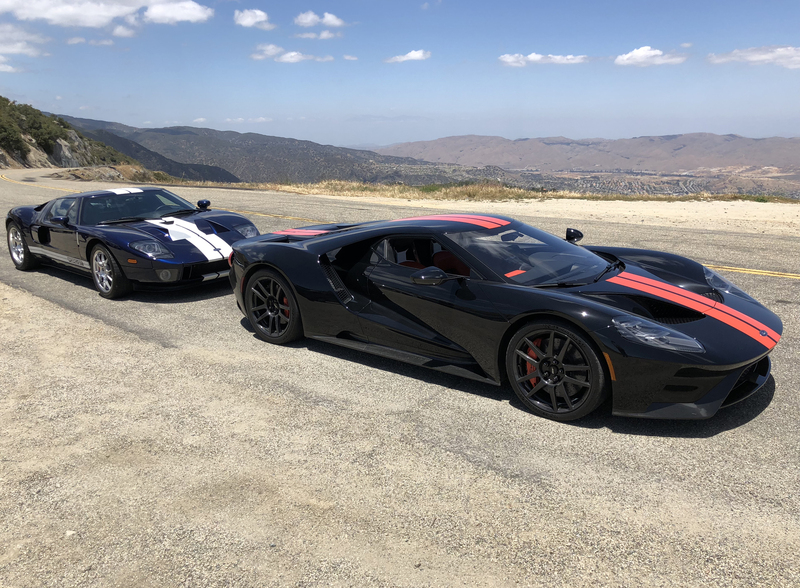 It was also surreal on a personal level, because it reminded me of the first time I really got to exercise a 2005 Ford GT on a public road, near Sonoma, California back in June of 2004. Both experiences left me elated because I realized, in both instances, the Ford GT I was about to acquire was an unmitigated thrill to drive. Previous Post:What Superhero Should Drive a Ford GT? Captain America!